AuthoTrans Digital Marketing is designed to target the customers you want. The days of marketing by mailers, inserts and yellow pages are yesterday’s marketing techniques and cost continues to increase. Why spend marketing dollars on less effective marketing campaigns. Today’s consumers want to get to know your business before they buy and they also want to receive incentives from your business. This type of marketing encourages good reviews by customers and higher customer retention. All customers like to be appreciated for their patronage. Other aspects of Digital Marketing include Social Media allowing your customers to talk about their experience with your business. You want them to speak well of your business so why not start promoting your business or service in the digital way. With over 4,180,000,000 mobile phones in the world today and 90% with Internet access don’t you think it’s time to market your existing customers and potential customers in the most cost effective way with the greatest return for your marketing investment. Businesses have a unique opportunity to provide their customer incentives to promote their return as a repeat customer. 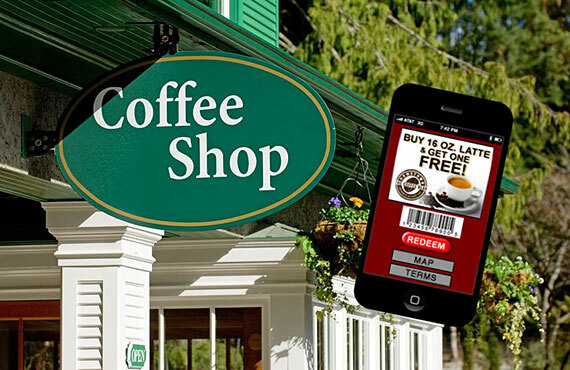 Mobile coupons will encourage customers that have been in your store or place of business to return. Whatever your target market AuthoTrans can develop a marketing program to reach the audience you require. In order to have a successful mobile coupon campaign, AuthoTrans will show your business and employees how to build an approved and profitable database. The important point to remember that every customer that visits your place of business likes to feel appreciated. Mobile coupons allow your business to reach out to your customer in the most cost effective way, at the same time encouraging them with time sensitive offers. Mobile Coupons do not mean deep discounts that cut into your bottom line. In fact, the opposite occurs for your business. Mobile Coupons increase traffic to your business and when the customer receives a discount or incentive that is time sensitive they are encouraged to buy now and usually end up spending more. A very important point in the method of marketing in the Digital age is to ask yourself, do your competitors use Digital Marketing? Who do you think this tech savvy consumer will shop with? The answer is simple your business will look more impressive and your marketing techniques will intrigue potential customers to shop at your business. Cross-channel marketing has evolved over the last few years and how to get the right message to the right channel at the right time is extremely important. There have been a lot of marketing agencies and individual businesses over the years making the mistake of blasting the same marketing messages across social media channels, email, and SMS at exactly the same moment. Those receiving these messages received the same message over and over causing a potential customer to become annoyed and disregard all of the messages. True cross-channel marketing is more than syndication, it’s scheduling the proper messages out into the future to the different channels with their own messages to drive awareness and ROI (Return on Investment). 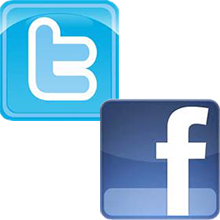 Social Media Management allows for a scheduled message from Facebook and Twitter at the exactly the right time. Create the message, title it appropriately, add images or video, and schedule it for the exact moment you want it to post. AuthoTrans provides the management of the appropriate marketing method and helps you implement the right program to increase positive marketing results. An online reputation is now one of the most important aspects of your business. Your online reputation is there, why not find out how to monitor and create an online reputation that reflects the real values of your business. Consumers are talking about your business. Do you know how to engage them to speak well of your business? Let’s say your business has a few bad reviews. Remember the age old adage, Bad News always travels faster and it always gets peoples’ attention. The problem is the same today as it was 10, 20 or 30 years ago, consumers have opinions and today unlike years ago they have social media to vent their opinions good or bad using today’s technology. Having negative or bad review is not the worst thing, but left unattended can cause irreparable damage. Negative or bad reviews if handled the right way allows your business to identify the issue and put in place the proper resolution to fix the problem. Your business may have a consumer problem and you are unaware of it. AuthoTrans can help put in place a plan that addresses social media negatives and help restore your business in a positive light. AuthoTrans understands you cannot please everyone, but if negative reviews are costing you potential new customers and profits, now is the time to change this perception. If a complaint from multiple consumers focus on the same issue you as a business owner should know. AuthoTrans believes it’s not that your business has complaints, but how your business goes about resolving those complaints that matter. Potential customers and your current customers will be very impressed that your business understand the importance of social media and use its potential as a medium to reach out to your customers and interest new ones. Today, the world has gone mobile and relies on the Internet for 90% of their information to make educated choices. Consumer patronage business that set themselves apart by using the correct marketing campaigns and techniques. Have you noticed that Digital Marketing uses codes? Example: QR, ROI and there is much more. If you like so many others finding it hard to understand the codes or how or it really works, let AuthoTrans work with you and develop the right program at the right price, codes and all. The modern consumer has certainly seen these funny looking squares and when used properly they can become a source of lead generation for any business. Leads may equate to your business as customers for your store, or interested potential buyers for a realtor. Complete Mobile Marketing Solution For Property Professionals! AuthoTrans system provides Realtors’ a way to take marketing of properties to the next level. An instant QR code for every property is generated as soon as a new property is entered into the system and uploaded to the server. Instantly the property is live and becomes a fantastic way to connect to a potential buyer. 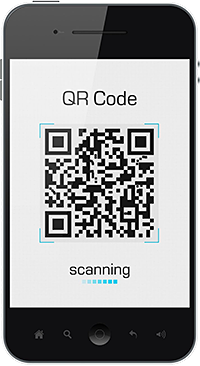 The QR code can be scanned by a mobile phone and the user can be taken to a website or webpage, sent a text message or even call you direct. By placing a QR code on your yard signs and printed advertising you will interest prospective buyers, give them immediate information and allow you the realtor to record people that are now looking at your listed property. If your business is not using QR Codes you are missing out on a fantastic opportunity to connect and interact with your customers. When customers are engaged with your business they frequent or contact your business more and your business bottom line increases. 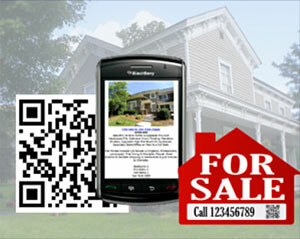 The AuthoTrans application provides QR Codes on demand of any campaign. The system will populate the text message including the short code message into the text itself. In addition, our system has a built in QR Code generator and the module allows to “Redirect” existing QR Codes so that existing coded material will be safe and eliminate costly mistakes. Look around, are your competitors using this type of marketing? If not, why not lead the way and profit by the advantage. Consumers are more mobile today than ever before! To meet this change your business should also have a mobile website in addition to your standard website. AuthoTrans provides functional websites and mobile websites to all of our clients. For more information, click here. AuthoTrans will develop the proper procedures to get your business Video in front of the consumer you wish to target. When your video appears on a search engine it gives your business a unique advantage to the other listings. Potential customers will be intrigued with your video and select your business over a text listing of your completers. AuthoTrans will produce your video to help you get your story across and at the same time your business will look professional. Today, people want to get to know you and nothing says it better than a smile and a real person on a video presentation. The Internet and Social Media have evolved, today social media, Internet smartphone savvy consumer’s shops with businesses that meet them in the correct marketing environment. Businesses that give consumer a positive impression will increase their business profit while making a lasting professional impression. Many businesses use punch cards from bowling alleys to sub shops to encourage customer loyalty. The only problem related to this type of program are that people lose them, or forget to bring the punch card with them. Combine that with environmental problems, fat wallet syndrome and people failing to even remember that they have them, and you will find a program that can be dramatically more successful by using mobile virtual punch cards. Any business that is currently using a loyalty program can add a Mobile Virtual Punch Card to their existing loyalty program. Or reduce the cost of printed or plastic loyalty cards and convert to mobile. One of the benefits for any business helps decrease fraud, and allows the business to build a database and have more control of their existing loyalty program.